After Normandy, I continued heading west into the Brittany region traveling through scenic countryscapes and cities such as Rennes before settling for a night in Carnac. It was by pure chance that I ended up there, as I liked the name of it and simply punched it into my GPS as a final destination for the day. I did not know about the prehistoric monoliths in the area for which it is quite well-known. I suppose they aren't as heavily marketed as Stonehenge (France is too classy to work the alien invasion angle), but impressive nonetheless and I was virtually the only tourist there. This was also the first night I stayed at an IBIS Hotel, which is a very stylish chain in Europe. It was a nice, affordable alternative to staying at hostels (I'm too damn old, né anti-social, for that) or the Ritz (I'm too damn frugal, né poor, for that). Paul Signac* "discovered" the perfect warm sunbaked light in Saint-Tropez and turned the sleepy fishing village into an artist's haven. I will talk about that more in my next post, but just wanted to note how I much preferred the crisp, cool tones of Brittany; all blue-tinged hues filtered through epic cumulus rolling inland off the sea. Darkness and light. Labour and leisure. There is lots of contrast in this place. 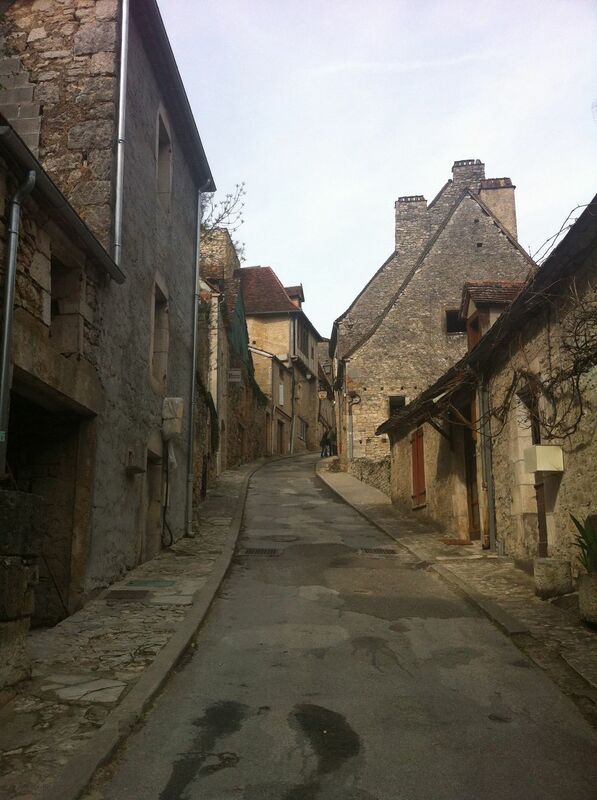 The northern regions of France may not be as glamorous as the Riviera, but are inspirational all the same. 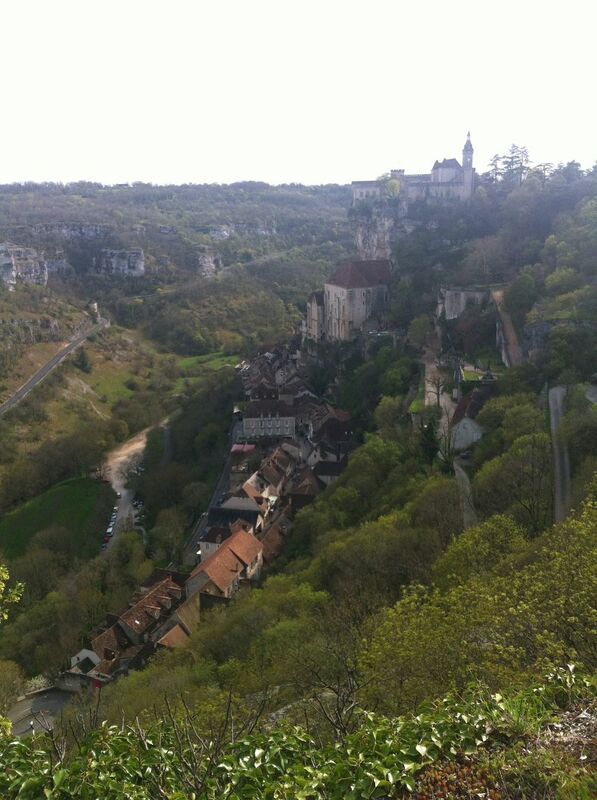 The wind carried me further south to an historic pilgramage site: Rocamadour. The small town is famous for its abbey AND its monkey forest. I didn't visit the latter, as I've met enough simians in my life, but I DID make the hike through the town and up the mountain in which the abbey is built into. This was one of the most enjoyable days of my trip. Just a leisurely afternoon soaking in unparalalled beauty and tracing the steps of history. Again, I was virtually the only tourist there and I stayed in a great hotel (not an IBIS). The friendly owner gave me the best room in the house with a huge, private rooftop patio overlooking the abbey. I rarely drink but this was the perfect time and place to relax, watch the sunset and have a Bordeaux. The next few days would not be as relaxing. *Signac helped develop the pointillism art style, which most intrigued me when I first started out in school and was my signature for years. I no longer have a lot of those pieces, but this trip has acted as an artistic muse for me and I hope to continue creating. One should never stop creating art in any capacity.